The Best Time of Year is NOW!!! When I was a kid, I loved summer---no school, warm sunshine and lots of fun and mischief to get into. Now that I’m a Grandma, my thoughts on the seasons has also matured. Over the years, I have come to enjoy all the offerings of fall. The cool, crisp mornings that gives way to warm days and starry nights. Fall color in Missouri is exceptional with the turning of leaves on trees-colors so vivid and alive that they jump out of the landscape. Driving past fields of pumpkins gets the kids excited that Halloween candy is yet to come. The treat of eating sweet grapes fresh off the vine and juicy apples plucked from the trees comes to mind. And of course, fall sports begin. There is no better time of year than this abundant season to catch your bearings, reevaluate the year, enjoy the harvest and relax. It is also the best time to take a few moments to invest in your home. There are many simple tasks you can do now to help save yourself time in spring when you are twice as busy. PLANT, PLANT, PLANT! Fall in Missouri is the ideal time of year to plant all kinds of things from cool-season vegetables to turf grasses, and especially shrubs, evergreens and deciduous trees. Yet, when it comes to planting, many gardeners only think of the spring. Why is fall such an ideal time to plant? First, the warm soil in the fall helps encourage root growth. The plants roots continue to grow through our mild winters, and become well established by the spring. This makes fall plantings much better equipped to handle the heat and drought once summer finally arrives. In addition, our fall and spring rains help do all the work in establishing your plants so you don’t have too. There are also fewer pests and disease problems to attack your plant while it is young. When fall arrives, I want to see bright oranges, vibrant yellows, and fiery reds. These fall colors bring life back to our landscapes after the summer sun has faded most of the blooms. The natural turning of leaves into their disguised color of glory brings a new energy to our yards and awakens our senses. 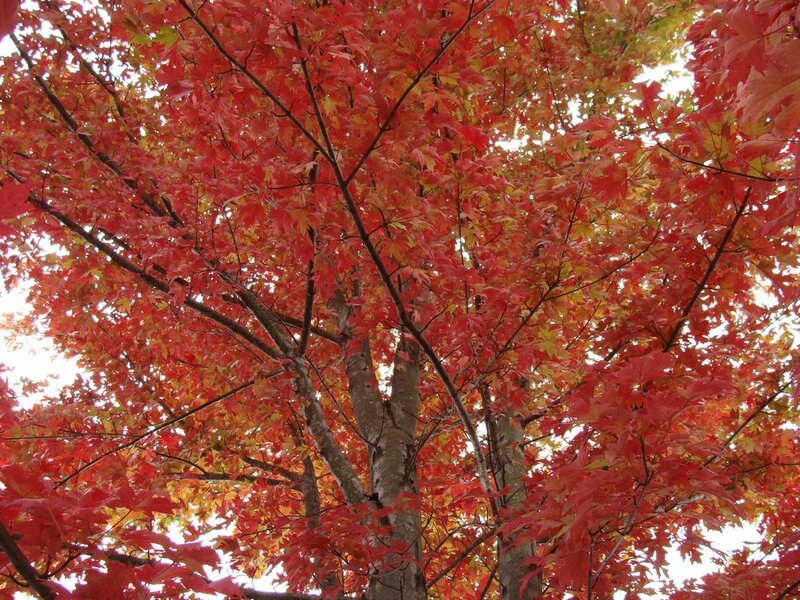 Right now, you can find selections of trees and shrubs especially bred for fall color. There is no reason to have hum-drum containers during fall when there are Garden Mums and Fall/Winter Pansies to replace our burnt out summer annuals. Fall cool floral crops are also great additions to beautiful fall containers. Adding perennials also brings new life to containers. Home decorating is great fun also to add pumpkins, corn stalks, gourds and other harvest items to the landscape or porch décor. In addition, don’t forget fall bulbs. 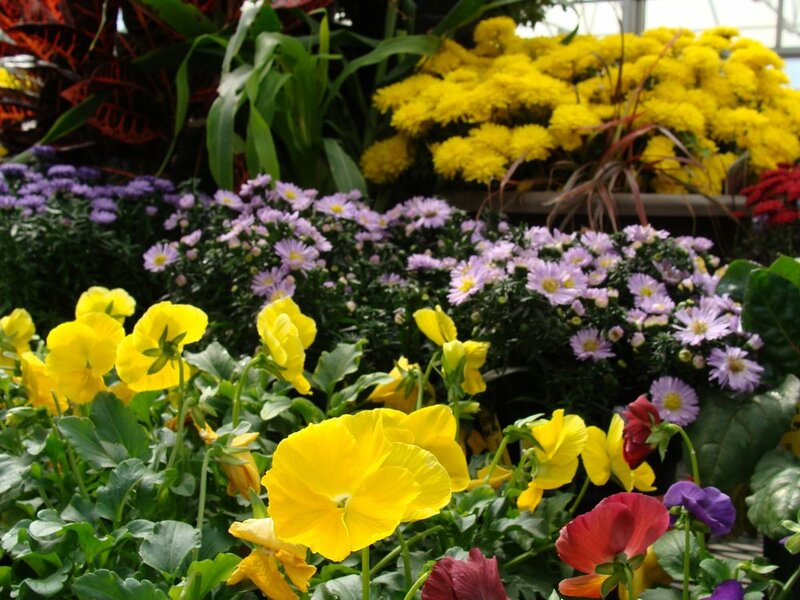 Now you will find the best selection, and you have until Christmas to get them into the ground for spring blooming. Bulbs need 10 weeks of cold weather to create their magnificent spring show. Many varieties and colors are popping up in this category of plants as well. Pull Weeds: Clean up your yard by pulling weeds. Then apply a pre-emergent such as Preen containing Trifluran. This will keep your yard looking nice and weed free for months to come. Fertilize: It is important to fertilize your evergreens and conifers at this time because their root systems continue to grow throughout the late fall and even into the winter till ground frost appears. An application of Osmocote or plants spikes is ideal for this task. The plants take up these nutrients and are ready to explode when the spring growing season arrives. Prepare Your Lawn: Were you disappointed in your lawn this year? Well, now is the time to prepare your lawn for next spring! Aerate and thatch it if the soil is compacted. This will allow the soil to drain better and give it much needed oxygen to the roots. Seeding can be done as well as fertilizing. Seeding in early fall will give the roots plenty of time to become established before winter. Fertilize with a winter type fertilizer to build nutrients up in the root system. This will keep your lawn from going into the winter hungry and it will help it take off much faster next spring.